Feedback From Our Beautiful Fans! We welcome your letters, facebook messages, messages in our blue book that travels with us to events, and tweets on the book. Thank you so much. You can leave a review or read reviews of the book at Good Reads. That would be brilliant! The book is going out for review to many places, including children and youth review sites, the children’s book council, Reading Time, Just Write for Kids, Mascara Literary Review and more. Thank you June for this gift. 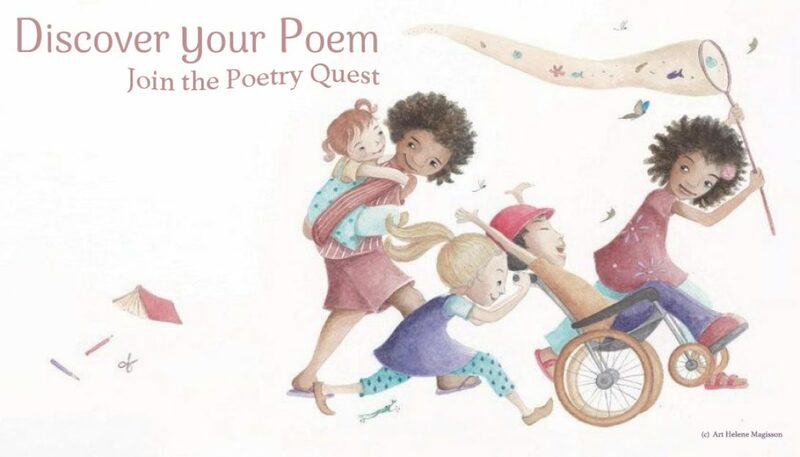 I love the poems and the illustrations are magical…….and the colours are most gentle and calming. Beautiful presentation. Thanks so much for the pdf, it was worth waiting for!! Looking forward to reading it with my grandchildren. It’s so lovely the effort you put in to get this up and running…we did Mira’s course together and you truly embraced it with both hands (feet, head, heart). Also I really love Helene’s drawings – you made a good team! Lovely to have a deeper story of our amazing land and animals for the children. I hope it’s a grand success! Thank you June, you must be so proud, the both of you! I look forward to being able to buy a real copy, until then, I’ll enjoy the PDF. Your work is beautiful. If you are ever in Brussels Belgium, we would love to have you come talk to the English French bilingual section at Lycée français. I’m just about speechless. what magic you and Helen have created. I can’t wait for my hard copy…exquisite. Thank you very much for the launch photos. A hard copy photo must go in the family album. I hope you thoroughly enjoyed your time in limelight lit up with success and fulfillment. Your book is beautiful! You must be so proud! I have enjoyed my first reading, and I plan to reread it many times so that I can gain greater appreciation and understanding of each poetic piece. You have an intriguing style. May you have much satisfaction and success in watching your dream make its way into the world! Blessings. It has turned out just great. Well done, you-two. So proud of you. It was a pleasure to be a little bit involved. I’ll be getting my autographed copy soon. The book looks so gorgeous! Just beautifully done, from the writing, to the design, to the illustration. It’s not just a professional-looking book, but an exceptional one. I’m so happy for you both. I look forward to seeing your writing career blossom, and I really think self-publishing this book was a good step for you. But be patient and persistent. Writing and illustrating a book is the first creative part of the project. Then handing your precious manuscript to a printer and a designer to bring their own expertise to the project gives the reader a book of wonder to behold. I’m so proud to be part of this wonderful project even in a very small way of reading the first draft over a year ago. Magic Fish Dreaming is both a visual feast and a feast of words. Hope you guys had a great time writing the book and illustrating it. I like the author’s writings and your art combined. This is great. Happy time writing and drawing. June and the book is lovely my little sister saw it and wanted to read it. Wishing you all the very best for your ventures. I can’t wait to dive into the beautiful world you have created. June Perkins what a journey! I’ve been following along & it’s been incredible to watch you. How magical to be holding them in your hands! 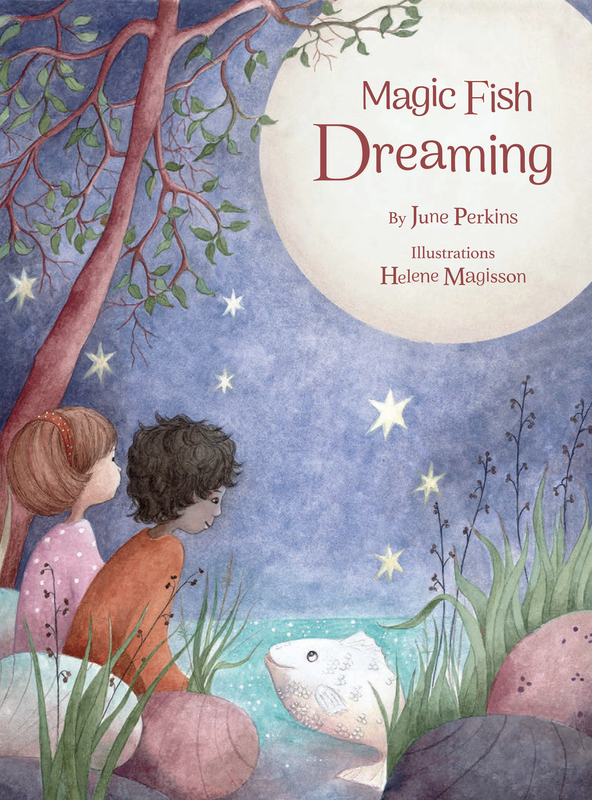 Had a brilliant time @ Magic Fish Dreaming – June Perkins and Helene Magisson’s Launch 30th October 2016. June Perkins, beautiful cultural soul weaves through her poetry with a voice entwined with cultural remembering, family relationships with each other and the natural world – bought to life with beautiful illustrations by Helene Marie Anne Magisson. June also shared a recording of one of her poems read in her traditional language by a friend, followed by a traditional dance performance and songs by her children. And last but not least, the Cake – Edible Art and very yum indeed. Thanks June Perkins….awesome afternoon. You have truly set the bar for book launches. I’m so glad it was such a success for you. June! I am so very excited for you. I am looking forward to seeing your book. I know I will want to keep your book to myself but the children at the school where my daughter works will be so excited! You survived labor and delivery and are ready to present your bundle of joy to the world! Huge congratulations! @gumbootspearlz Congratulations! The book looks amazing. What a huge journey! Be proud lovely one. I’m proud and grateful to know you. We are in the process of sending out this beautiful book and getting it into stores.Thank you for your patience. We have launched in real space, and sent out the pdf and many of our copies to reviewers.